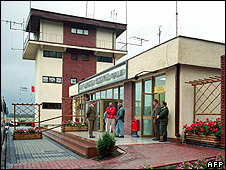 Polish intelligence sources have for the first time confirmed that the US Central Intelligence Agency (CIA) ran a secret prison facility on Polish soil. The admission comes after a report found the CIA had operated prisons for terror suspects in Poland and Romania. Two anonymous intelligence officers made the claims about facilities being located in Poland in the daily Dziennik. One of them states that between 2002 and 2005 the CIA held terror suspects inside a military intelligence training base in Stare Kiejkuty in north-eastern Poland. Both the then Prime Minister, Leszek Miller, and President, Aleksander Kwasniewski, knew about the base, the newspaper reports. However the officer says it was unlikely either man knew if the prisoners were being tortured because the Poles had no control over the Americans' activities.